If you are anything like me, "busy" is a pretty accurate word to describe your life. Between kids ball games, ministry, homework, housework, maintaining friendships, meetings, etc; its hard to think about adding just one more thing to my plate. As a mother of 5, I often find myself wishing for more hours in the day. More hours to sleep, more hours to work, more hours with the people I love, more hours to enjoy my hobbies. As a mom you are on-call 24 hours a day, and sometimes we get tired, exhausted, overwhelmed; am I right? But I believe we make time for things that are important to us and I believe that dating our kids is important! Your children need to know that you are accessible; when they feel that connection, I believe it helps contribute to a healthy relationship in their teen and adult years. I have always been close to my oldest daughter, we have always had a special bond. I've spent countless hours investing in her, spending time together, reiterating to her that I am her biggest fan, always on her side. And now raising her as a teenager, I am reaping the reward of the time I sowed into her as a child/pre-teen. It is so easy to come up with a list of reasons why dating our kids won't work; no money, not enough time, no ideas on what to do/where to go, too tired, etc. But let's talk about why it is important, crucial perhaps. Spending one on one time with your child helps develop communication and trust; when I take my daughters out individually they talk and talk and I find out how they really feel about things and what they are struggling with and rejoicing in. 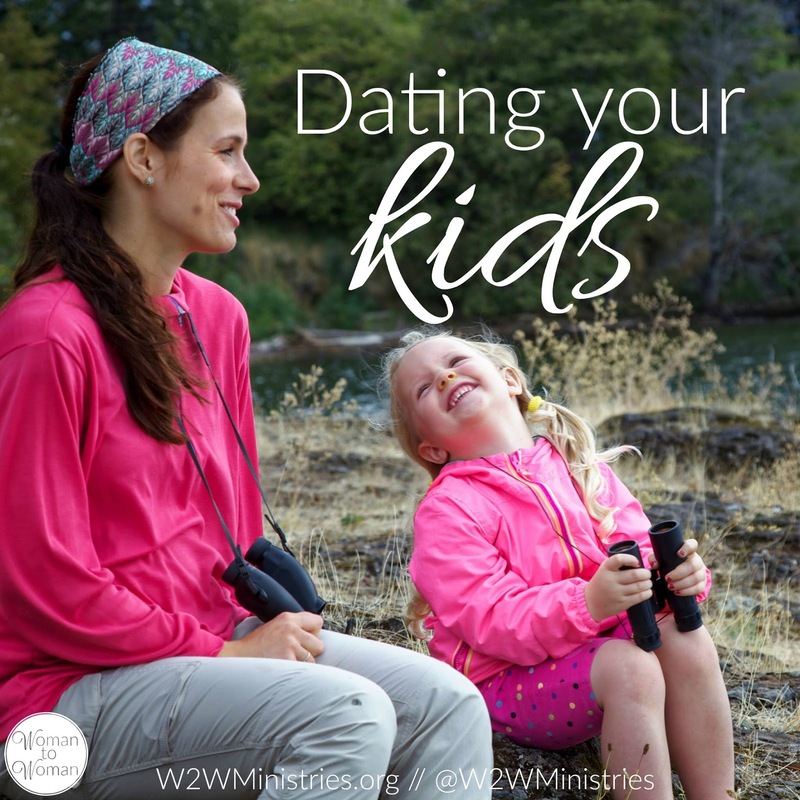 Dating your kids allows you to get to know them better without interruption, without someone else vying for your attention. It also speaks volumes to them; it tells them that mom thinks they are worth knowing and that they are valuable and worth your time. It creates a lifetime of wonderful memories that they can carry with them forever and pass on to their children. Dating your kids is also really fun! I guarantee you will have a lot of laughs and will walk away with a sense of satisfaction. Depending on the size of your town, your options for entertainment may be limited but just being with you is good enough! Believe me, you don't have to do anything extravagant, they just want YOU! So allow me to give you a few ideas to get you started; go to the park and play tag, go out for ice cream, take a class together, go for a bike ride, play board games, go fishing, spend time grocery shopping and talking about things you love to eat, go to the library, get in the car and go for a drive, take them to the dollar store and let them pick out a treat, go bowling, do a craft, write a play and perform it later for your entire family, have a picnic, get a manicure, go for a walk. My sister in law set up a movie night with her oldest daughter a few nights ago at their house; introducing her to her favorite movie. They didn't have to go spend money, but I guarantee it is a night her daughter will always remember because mom took the time to share something that was special to her. The possibilities are endless but the rewards are truly lasting. Remember, you don't have to do all the talking. Don't use it as a time to nag or to remind them of all their chores. Don't mention their latest less-than-average test scores. Build them up. Speak life. Tell them you are proud of them. Listen. Make them feel valued and secure. You are investing in the lives of the future generation. You are speaking into the lives of world changers. So put away the excuses. Pick a date. Pick an activity. Dating your children may be a new concept for you, but make it one that becomes a "normal" in your life. You won't be disappointed. This is such good, common sense parenting advice! How can we have real relationship without time spent together!